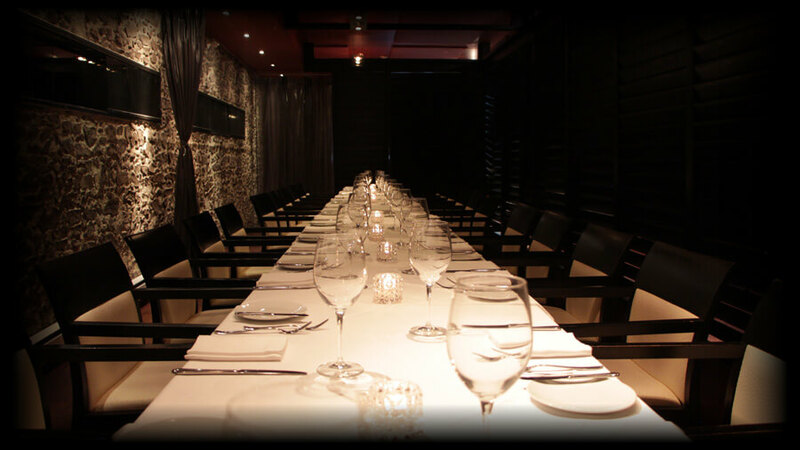 Located in the heart of Yorkville, BLU’s contemporary interior sets the perfect backdrop for your next private dining event. Enter through the wine bar, which leads to the inviting ambiance of our upscale dining room. 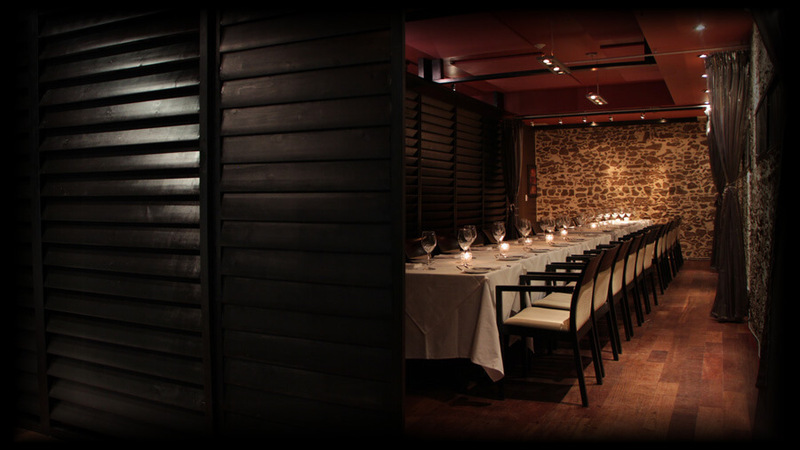 Warmly lit stonewalls and grand mirrors surround the cozy leather seating and white linen table settings. 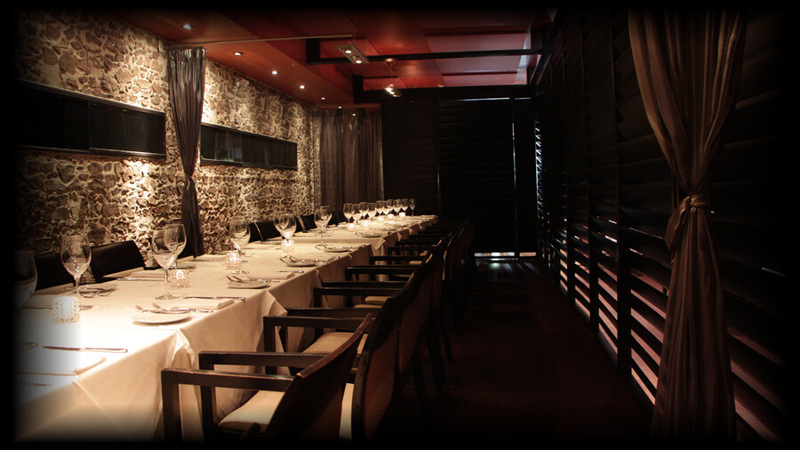 Enjoy impeccable service for intimate gatherings or for large private parties up to 110 guests. We are here to assist you in achieving a successful and memorable experience, however big or small. 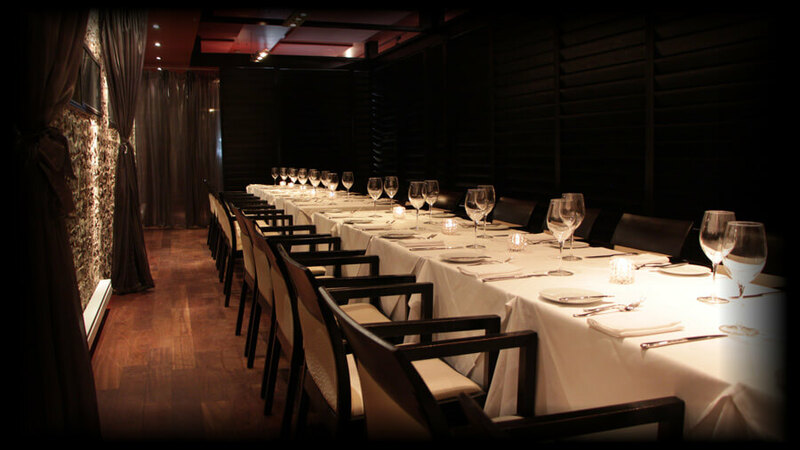 BLU offers three private dining restaurant rooms for any dining occasion! Private dining rooms are not offered on Friday or Saturday. Private dining rooms are constructed within the main dining room with floor to ceiling wood panels. Although they are completely private, they are not soundproof. Presentations or lengthy speeches are therefore not recommended. 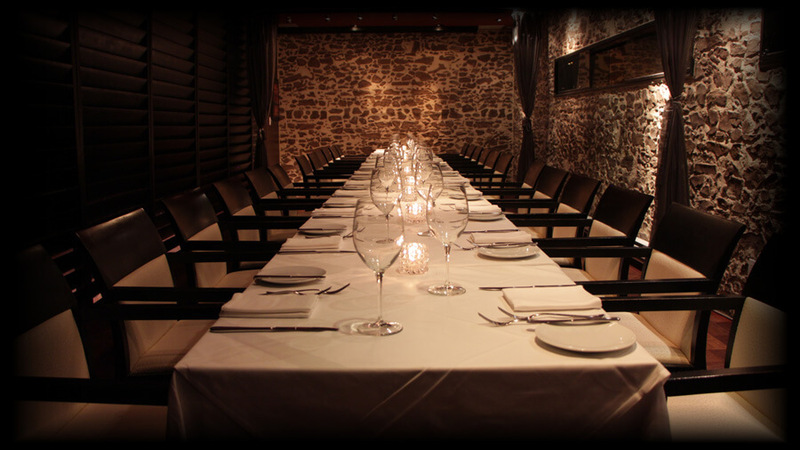 These rooms are booked on a daily basis for corporate dinners and ideal for business meetings. Private & group menus are a selection of popular menu items, appropriate for both sit down and cocktail events. Menus can also be customized for any theme or to accommodate dietary needs. Please feel free to enquire further about tailoring a menu to your desired taste and budget. BLU is equipped with a comprehensive and complimentary audio-visual system available for your next event. The system includes a selection of professional microphones, speakers, projectors, lighting, screens and podium. For more information on booking and planning your private dinner, please contact us directly.